Replacement stone for the DFPK & DPSKP Precision Kits. See additional images for references to the items that use this stone bar. This 1" wide Triangular Sharpening Stone is specially-shaped to sharpen SERRATED edges. Use this stone in the same way you would a flat stone, but only on the serrated portion of your blade and on the side of the blade with a grind. Do not use on non-serrated edges (a.k.a. standard flat grinds). 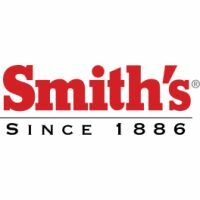 Smith’s Diamond/Arkansas Stones Precision Knife Sharpening System offers an easy way to sharpen all types of knives . . . INCLUDING SERRATED. The fabric storage pouch makes this kit portable and easy to store, and the 1-inch wide stones makes sharpening safe, fast, and easy. The kit comes with a Coarse Diamond Stone, Fine Diamond Stone, Fine Arkansas Stone, Medium Triangular shaped Ceramic Stone for serrated edges only, and Premium Honing Solution.